British physicist Stephen Hawking has warned repeatedly that Earth could well be doomed, but his latest warning gives us no more than 583 years before we get burned on Earth. During a video clip aired at the Tencent WE Summit on Nov. 5, the 75-year-old scientist said that humanity would have to deal with exponential growth in the centuries ahead. He noted that the world’s population has been doubling every 40 years. “This exponential growth cannot continue into the next millennium,” Hawking, who has been coping with neurodegenerative disease for decades, said in his computer-synthesized voice. “By the year 2600, the world’s population would be standing shoulder to shoulder, and the electricity consumption would make the Earth glow red-hot. 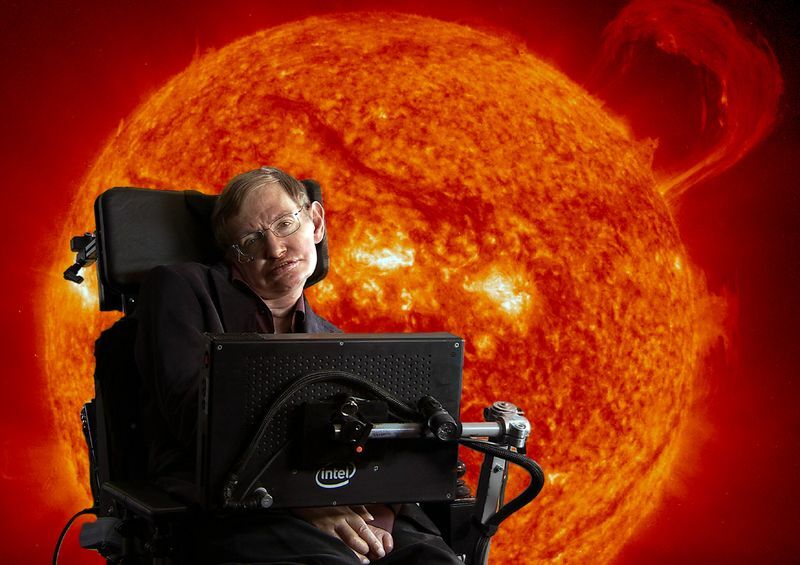 “This is untenable,” Hawking said as a planet-sized ball of fire blazed on the screen. This entry was posted in GeekWire and tagged Doomsday, Science, Space, Stephen Hawking. Bookmark the permalink.